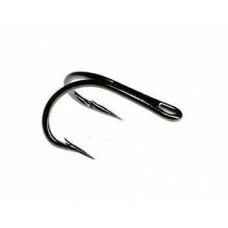 Designed specifically for use with tube flies, these short shanked, straight eyed doubles are super strong and won't let you down. Round bend, oblong ring eye, ex-strong wire, bronzed. Chemically sharpened, needle point tube ..